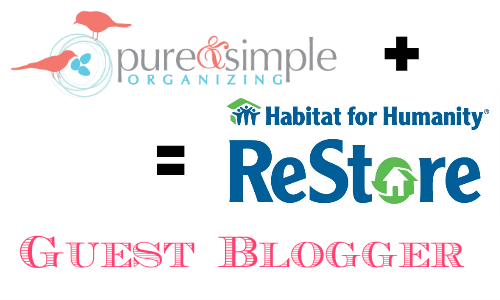 Recently I was asked to participate as a guest blogger for the Metrolina Habitat ReStores. I’m in great company with 3 other bloggers! Feel free to drop by their website and check out the posts. In other news, I was also asked to appear on Charlotte Today (again 😉 ) on behalf of the Habitat ReStores. I gave some ideas on how to creatively use items found at the ReStore for organizing projects. Hope you all had a nice weekend! I spent it spring cleaning and reorganizing! I’m blogging over at The Charlotte Moms this week about Spring Cleaning. I don’t know about you, but I am ready for warmer weather. I’m ready to open the windows and air out the apartment. I’m ready for a change … a new season! Be sure to drop by their website for the full article.